The civic body has proposed a 25 percent increase in taxes for residential properties and 30 percent for commercial units from the next financial year. The tax hike is anticipated to generate Rs 500 crore for ongoing and new civic projects. The Karnataka RERA officials imposed a hefty penalty on the errant developers who had not registered their projects under RERA. The authority collected around Rs 8.83 crore as penalty from builders. Inordinate delays in acquiring land for Namma Metro Phase II due to insufficient funds marred market sentiment. The civic body is also struggling to acquire land for the roadwidening project at Sarjapura Road, Trannery Road, Dinnur Main Road and Bellary Road. While there is no progress on Smart City projects, the civic body has commenced roadwidening work on Bannerghatta Road between Jedimara and Kolifarm junctions. In another move, the airport authority has planned to construct three new access roads to the Kempegowda International Airport from Trumpet Flyover to ease traffic congestion. Post the Central Water Commission (CWC) approval, the fresh bout of tussle between Karnataka and Tamil Nadu over the Mekedatu reservoir project unfolds the uncertainty of constructing a multi-purpose dam across the Cauvery River. The project worth Rs 5,912 crore aims to alleviate drinking water issue along with generating hydro-electricity to meet the power needs of Bangalore. 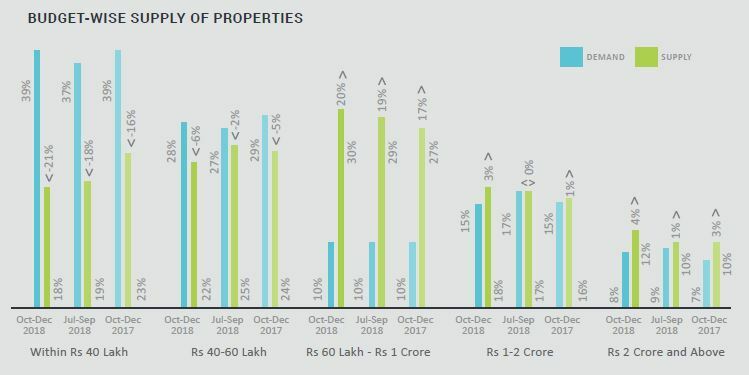 Bangalore realty exhibited signs of revival with consistent uptrends in demand for affordable and mid-income housing, QoQ. North and South Bangalore, specifically the areas connected via Namma Metro, bagged maximum property enquiries and deals. Noticeably, the city roughly needs around 10-12 quarters to sell its complete residential stock – a trend healthier than most Indian metros. With around 83 percent of ready inventory, the city has an equivalent demand for such units. However, close to three-fourth of the total housing demand in Bangalore is for apartments priced within Rs 40 lakh. The supply in this budget category stands just at a little over 50 percent of the overall housing inventory. 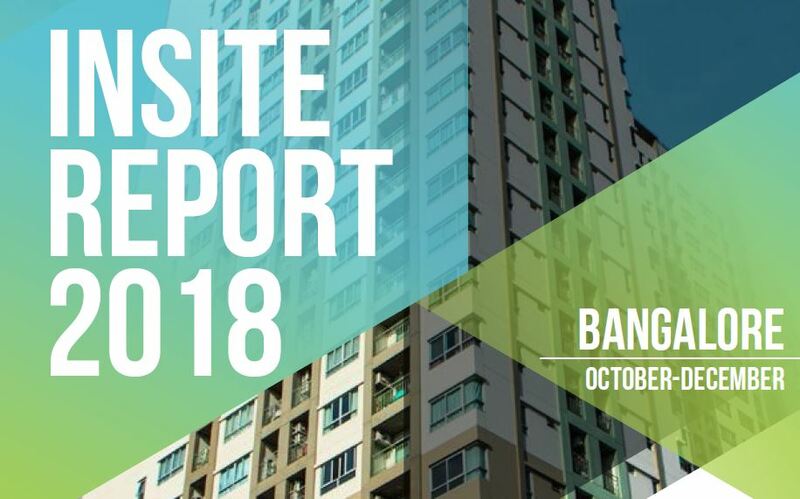 To trim the demand-supply mismatch, the developer community launched the maximum number of projects in the affordable housing category, resulting in a modest upward revision to the tune of one percent in ‘ask’ rates in Oct-Dec 2018 vs. Jul-Sep 2018. The rental market narrated a happy story with consistent demand from the migrant tenant community, resulting in a two percent rise in average rental values, YoY. Factors that weighed the otherwise positive market sentiment down included the announcement to raise property taxes, the uncertainty over GST rates and several halts in the construction of Namma Metro Phase II. Nonetheless, the city showed a strong comeback in terms of new launches, housing demand and sales volume in the year 2018. The performance in the current year will depend on several factors including, but not limited to, a downward revision in GST rates for under-construction properties, progress under Pradhan Mantri Awas Yojana – Urban (PMAY-U) in the State and the effective functioning of the RERA authority. Affordable and RERA-registered projects continued yielding good response in the last quarter of the year. The under-construction segment, however, was badly hit in the quarter amidst the uncertainty in the revision of GST rates. Category A developers launched 1BHK housing units for the first time to revive the buying sentiment in the upcoming quarters. Rental values surged by two percent, YoY and the capital market saw ‘ask’ prices of residential apartments going up to the tune of one percent, QoQ. Property prices in Bangalore posted a marginal increase of one percent in Oct-Dec 2018 vs. the previous one. 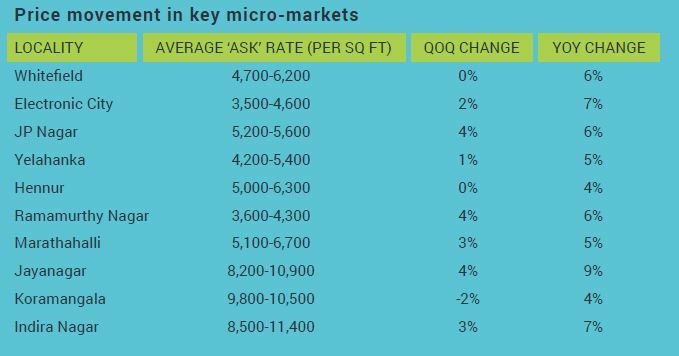 Varthur in East Bangalore and Sahakara Nagar in North Bangalore topped the charts with five percent spike in ‘ask’ rates, each, QoQ. Bangalore South saw an increment of two percent in average property prices. Housing pockets such as Gottigere, Jayanagar, Begur, JP Nagar, Banashankari and Basavangudi saw home prices scaling up by four percent, each, QoQ. Consistent demand from IT workforce led these pockets together bag a humongous 50 percent share in the total sales of units this quarter. Noticeably, the suburban areas of Bangalore, Marathahalli in the East and Uttarahalli in the South, saw an upsurge of three and two percent, respectively, in average property ‘asks’. While proximity to Whitefield, Sarjapur Road, Electronics City and Outer Ring Road (ORR) kept the former popular amongst homebuyers; metro connectivity ensured robust housing demand in the latter. The popular housing localities of North, East and West Bangalore witnessed the maximum housing unit launches in the quarter. Affordable housing remained the prime choice of both buyers and developers. Of the total new launches in Bangalore, 40 percent belonged to the Rs 30-60 lakh price bucket. Despite majority developers focussing on launching low-cost housing units, the city displayed a whopping 21 percent shortfall in the supply of units priced up to Rs 40 lakh. On the contrary, the premium housing segment including homes priced within Rs 1-2 crore and above Rs 2 crore witnessed an oversupply due to shift in demand towards the low-ticket price homes. The rental market continued to outperform the capital market. 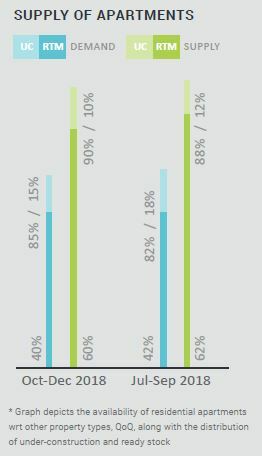 Competitive rents, proximity to office spaces and connectivity links remained the prime focus of the tenant community throughout the year. The rental markets of Jakkur, Kadugodi and Hulimavu remained upbeat with seven percent hike in lease rates, YoY, driven by the availability of fresh rental stock.